Even the smallest changes you make can have a significant impact on your future. Applying the principles of wealth management depends on exercising what psychologists call an “internal locus of control.” In other words, through your own behavior and actions, you can take charge of your financial life. Successful wealth management depends almost entirely on your choices, habits and hard work. It’s based on the principle that very small changes can have a very large effect over either a 45-year working career or a 30-year retirement. For example, pricey lattes have garnered a bad reputation in financial presentations. They have come to symbolize the fact that Americans should be saving and investing instead of spending mindlessly and spiraling ever deeper into debt. The budget-busting reputation of the caffeine habit is well deserved, but even just a little savings goes a long way. My wife uses a cold brew Toddy coffee system. It produces a coffee concentrate from coarse grounds that keeps fresh for at least a week. When you are ready to drink it, you mix it with milk, syrups, or just plain water to produce coffee either hot or cold. It has a stronger flavor than most home coffee makers and is secretly what many major coffee shops use behind their counter for iced coffees. It theoretically could save $4.75 per serving over purchasing coffee from a shop. It may seem insignificant at first glance, but saving $4.75 is one of those small changes that have a large effect over time. If you save $4.75 early in your working career, you can invest it. Averaging an 11% return, that $4.75 will grow 100-fold to more than $475 between ages 20 and 65. In this case, the effect of saving money when you are young removes the decimal and gains 100-fold. 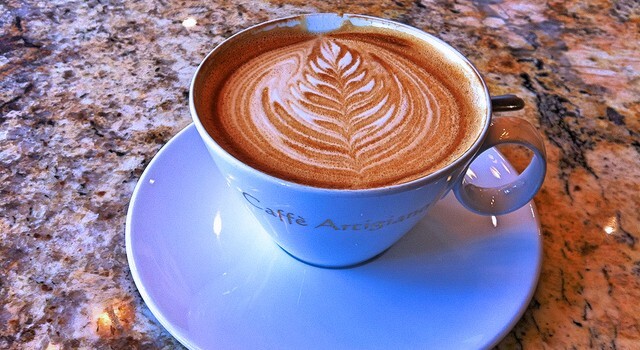 Saving and investing the cost of a latte every day adds up to even more impressive numbers. Investing $4.75 every day between ages 20 and 65 (or $1,733.75 a year) grows to $475,000, a half a million dollar latte habit. Small daily efforts to save have large cumulative effects. A slight increase in your investment return has a similarly large impact on your retirement savings. In the financial world, a single percentage point is broken into hundredths of a percent. Each hundredth is called a “basis point.” Basis points are abbreviated “bps,” which is then shortened into the financial slang “bips.” Some in the financial world will kill for 10 bps. That’s how important they are. For every additional 1% you earn over your working career, you can retire 7 years earlier or 50% richer. That is a huge effect for just 100 basis points. Every extra basis point of return over your working career allows you to retire 25 days earlier. The slightest rate of return can save you 142 hours of extra work. Extra basis points can be found everywhere. The average portfolio’s expense ratio can be reduced by about 80 basis points. Rebalancing your portfolio annually adds 160 basis points. Putting the right investments in the right investment vehicles is worth 100 basis points each year. Roth conversions, tax management, and asset allocation are all worth hundreds of basis points. In his book “Why Smart People Do Stupid Things with Money,” financial advisor Bert Whitehead asks readers to identify factors that will have an impact on their financial future. In each case, the item under your control is the one that will have the greatest influence on your financial well-being. These variables include taxes, diversifying your investments across all asset classes, being a savvy shopper, how much you earn, being aware of what you spend, the stability of your relationships, the home you purchase, and the percentage of your income you allocate to permanent savings. Small changes in each of these have exceptionally large effects on net worth. Many feel helpless to direct their own success, but nothing could be further from the truth. Learn to live wisely so you can achieve your life goals. The original version of this article was published November 1, 2010. Photo used under Flickr Creative Commons.